What is API RP 13C (ISO 13501)? A physical testing and labeling procedure for shaker screens. To be API RP 13C compliant, a screen must be tested and labeled in accordance with this recommended practice. Internationally, API RP 13C is known as ISO 13501. 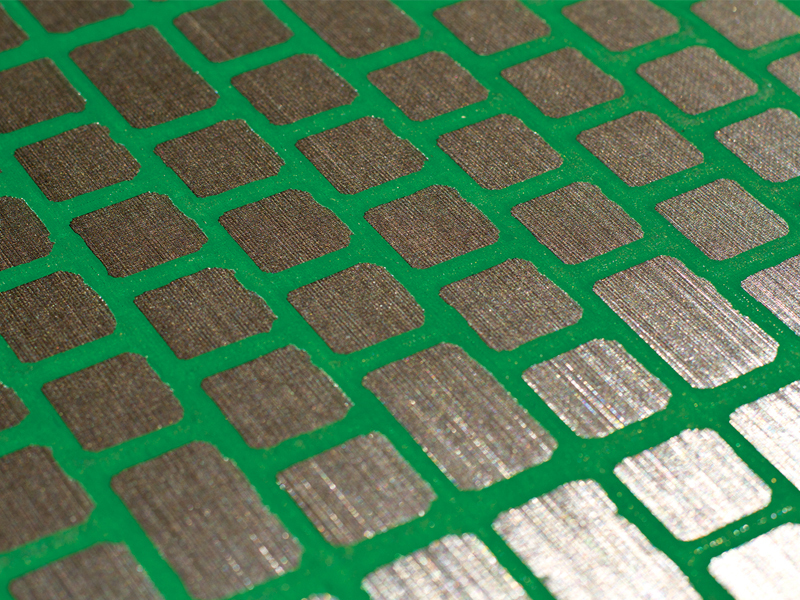 To meet API RP 13C compliance two tests are required: cut point and conductance. API RP 13C allows the end user to compare by cut point, conductance (fluid flow), and non-blanked open area. The cut point test is based on a time-proven testing method used by ASTM to classify particles by size. 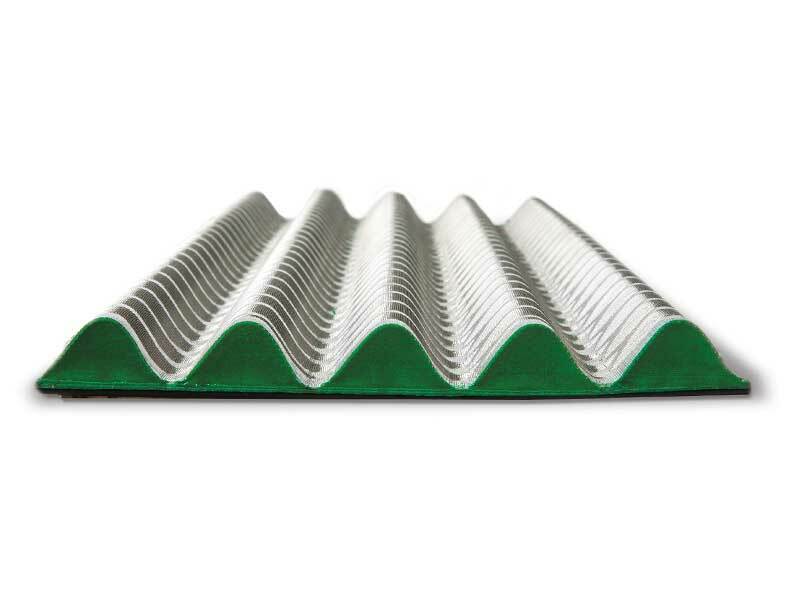 The shaker screen designation is identified by matching the screen’s cut point to the closest ASTM sieve cut point. The D100 separation is used for assigning screen designations (Fig. 1). D100 means that 100 percent of the particles larger than the test screen will be retained, and all finer particles will pass through. The conductance test measures the ability of a fluid to pass through the screen. The non-blanked open area of a screen describes the net unblocked area (in square meters or square feet) available to permit the passage of fluid. After identifying the cut point and conductance, API RP 13C requires application of a permanent tag or label to the screen that is visible and legible (Fig. 2). 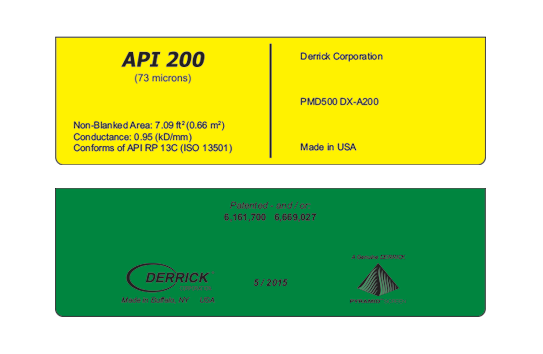 Both cut point, expressed as an API number, and conductance shown in kD/mm are required on the screen label. The new procedure is a revision of the previous API RP 13E, which was based on optical measurements of the screen opening using a microscope and computer analysis. Under API RP 13E, screen designations were based on individual manufacturer test methods which produced inconsistent labeling.